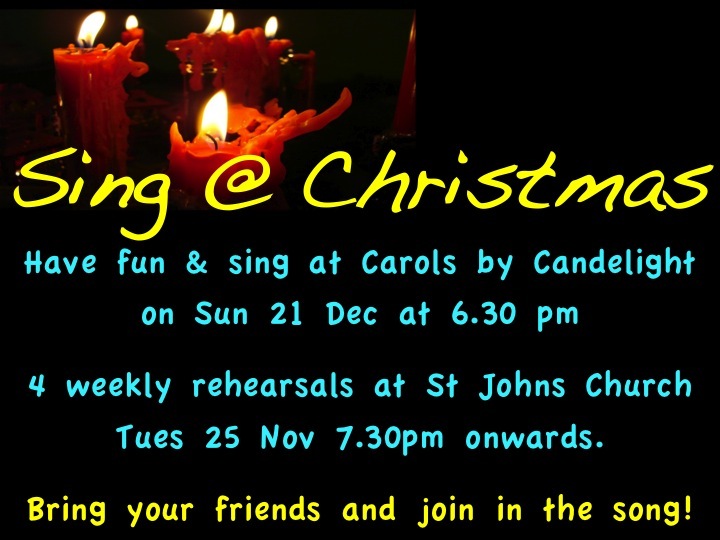 With Christmas fast approaching join our Christmas Choir to sing at our Carols by Candlelight Service on 21 December at 6.30 pm. Only four rehearsals on Tuesday nights. No experience necessary or expected. Just come along have fun and join in.